The period from 1920 to 1960 represents the apex of American popular music, that produced a treasure trove of talented musicians the likes of which the world has never known before or since. From vocalists like Frank Sinatra and Ella Fitzgerald and composers/lyricists such as George and Ira Gershwin and Irving Berlin, America gifted the world with music of a higher caliber, but today that music has all but disappeared from the cultural landscape. The Great American Songbook is a body of music that is lauded the world over for representing the zenith of American culture and songwriting at its best. And it has never before been so important to take action to preserve and restore this vital cultural resource and access to it. With vinyl and compact disc recordings quickly becoming a distant memory, record stores disappearing and live performance dwindling, there is a very real danger that this music will be lost to future generations. Perhaps Tony Bennett put it best when he said, "This is America's classical music." 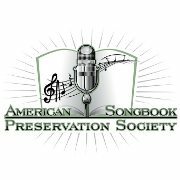 American Songbook Preservation Society (ASPS) has launched an Indiegogo funding effort to attract an army of volunteers that will assist in developing a wiki to catalog existing Internet resources about the Great American Songbook. ASPS is also developing its own resources including digitized text, photos, sound and film to keep this truly American musical legacy in front of the public for the next 100 years and beyond. ASPS looks forward to disseminating information and educational materials free to the public as a destination on the world wide web. American Songbook Preservation Society is a performance organization whose purpose since 2003 has been to continue the legacy of the Great American Songbook by presenting this music to public at home and abroad as Ambassadors of Song. The organization features highly accomplished musicians and singers performing these works for public benefit and educational purposes. To participate in this effort, please click on the link below.